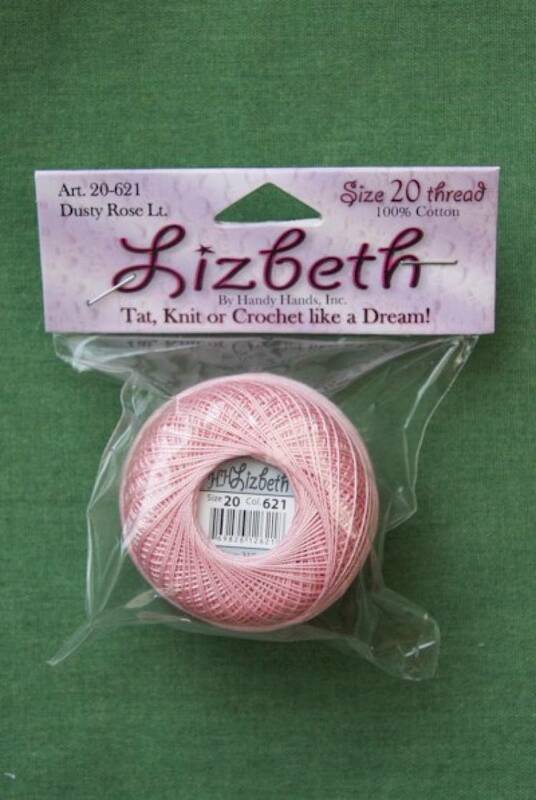 A high quality, size 20, 100% Egyptian Cotton, 6-cord cordonnet, specially developed for tatting and crochet. It is super-combed and gas-singed for outstanding body and picots that hold their shape, offers uniform colour throughout, a silky appearance and is easy to work, being less likely to tangle. We offer a range the full range of white, black and ecru plus the complete range of solid and hand dyed variegated shades, in 25 gram (210 yard) balls. Click on the lower images (solid left, variegated right) to see the full size shade cards. Please note - the colours shown on the shade cards are approximate only and should be used only as a guide. Please check the written shade descriptions as further guidance. Most of the variegated threads have matching solids. These are referenced by the red shade numbers on the variegated chart.